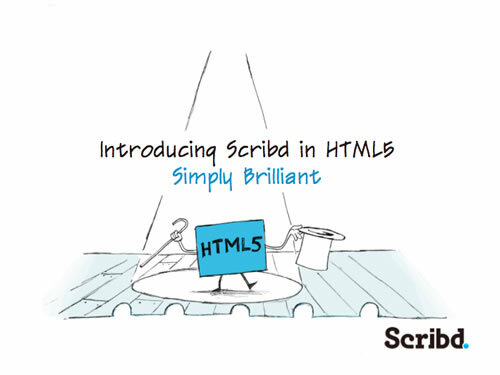 As fans of HTML5 and its possibilities for the web, it’s nice to see major sites like Scribd jump on board the train and push it forward. Your move, Slideshare. Custom illustrations by Special Agent Productions make this a nice departure from the standard deck.